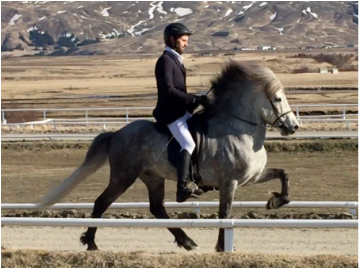 Krít frá Miðhjáleigu is a high class competition mare with extremely good gaits and spirit. B-Class (four gait) = 9.25. 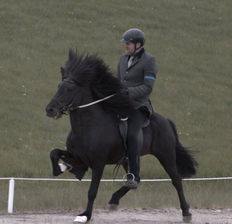 Brúney frá Grafarkoti is a black beauty and an excellent competition mare both in loose rein tölt (T2), tölt (T1), four gait (V1) and B-Class. 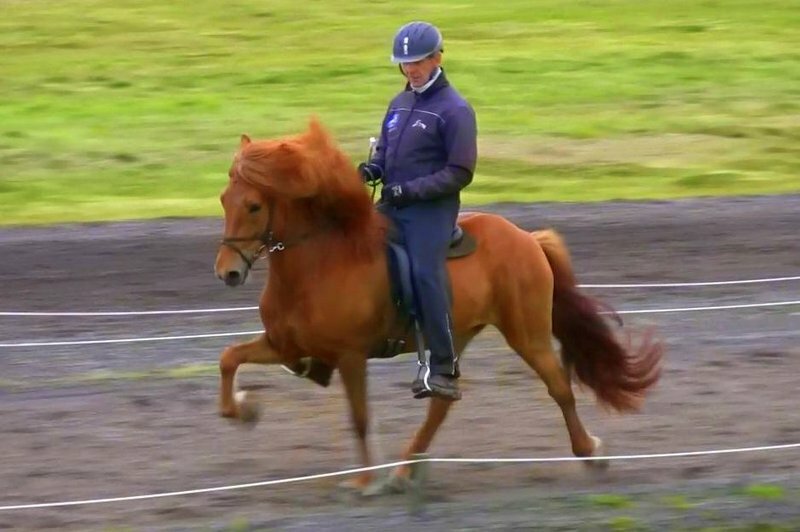 Highest score in Loose Rein Tölt (T2) is 7.88. Highest score in Tölt (T1) is 7.22. Highest score in Four Gait is 7.07. Highest score in B-Class is 8.59. M: Surtsey frá Gröf Vatnsnesi. 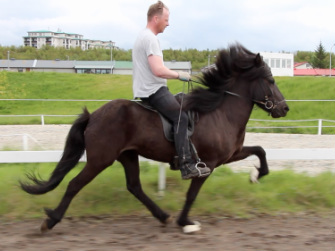 Gnýr is a first price five gaited stallion and a competition horse, both in five gate and in A-Class. 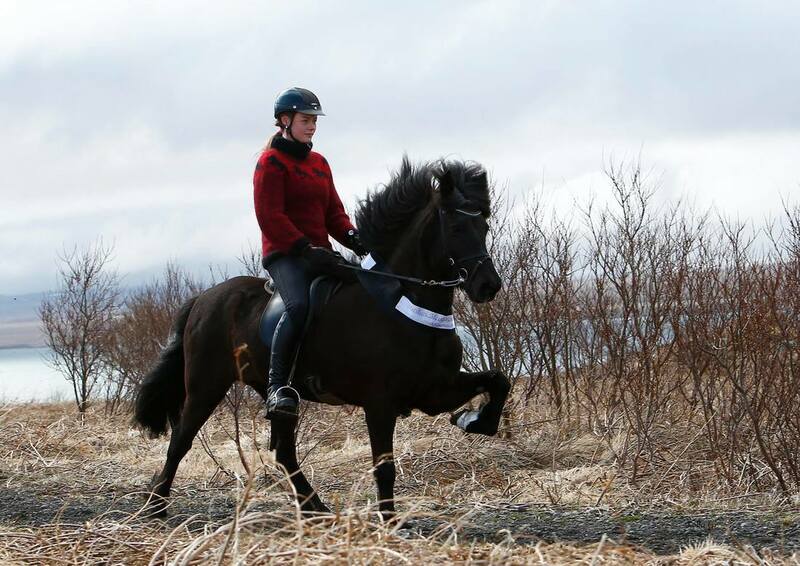 Von is a good competition mare, both in tölt and four gait. She has 9 for tölt. F: Klerkur frá Bjarnanesi (8.15). 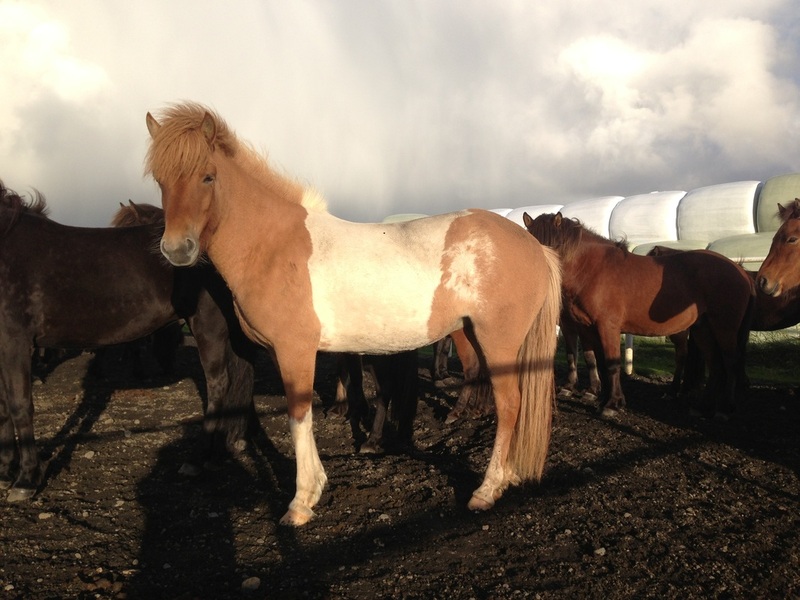 Evelyn is a first price high class, four gaited competition mare with 8.35 for Confirmation. Alvara frá Hömluholti is very good four gaited competition mare, with good tölt, good movement and forward willing. F: Dynur frá Hvammi (8.47). Djörfung is an excellent mare with great movements and great tölt. F: Hruni frá Breiðumörk 2. Nóta iss very talented mere with excelent tölt and other very good gates. ​M: Nótt frá Grímsstöðum (8.29). 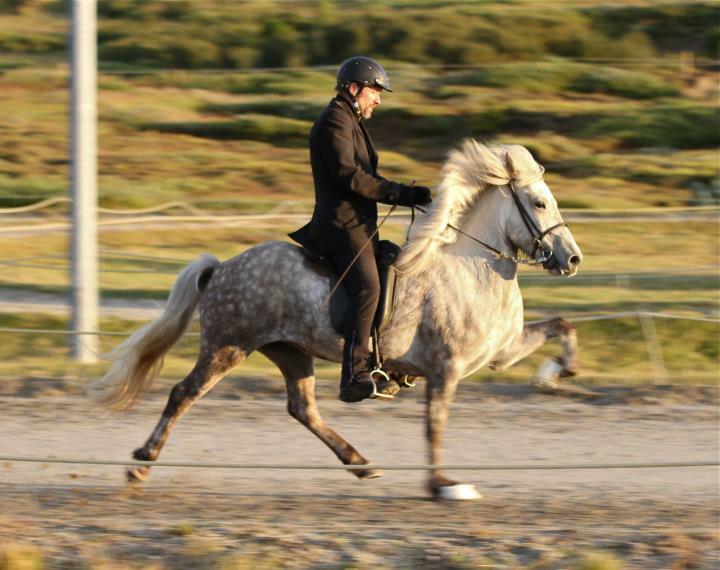 Hrauney is a first price five gaited competition mare. F: Aron frá Strandarhöfði (8.54). M: Hrauna frá Húsavík (8.44). Skrugga is a good looking black mare. 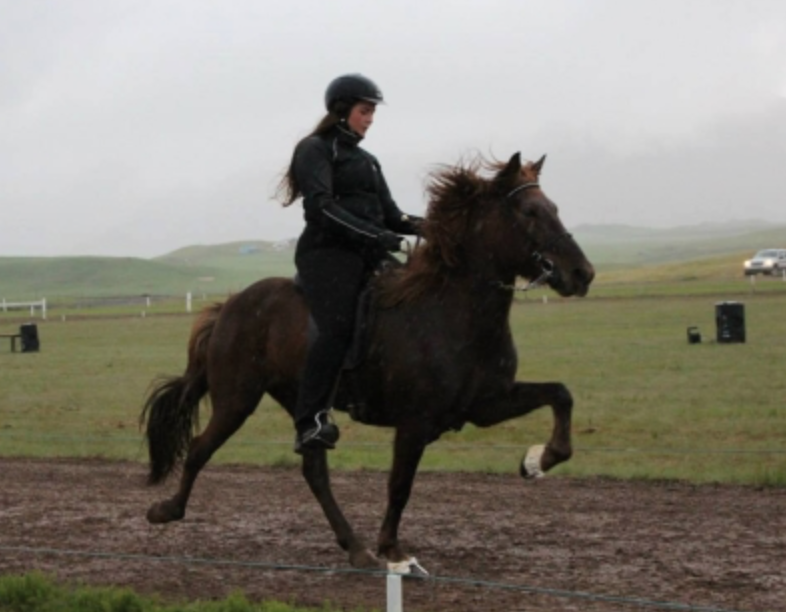 She ahas very good movements and great gaits. She is very a promising four gait competition horse and would be a great project for an experienced trainer to take to the highest level. F: Hugleikur frá Galtanesi (8.19). 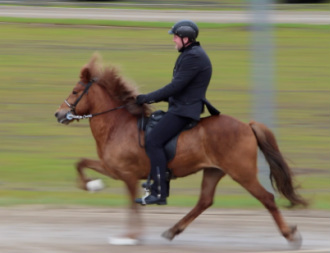 Hugleikur is a 4 gaited champion. 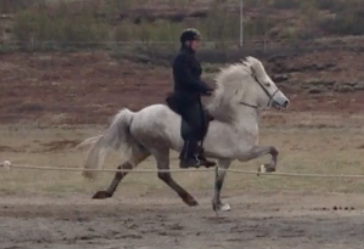 Virðing is a potential competition mare especially in Tölt T2 and also in Tölt T1 and Four Gait. F: Gustur frá Grund II.